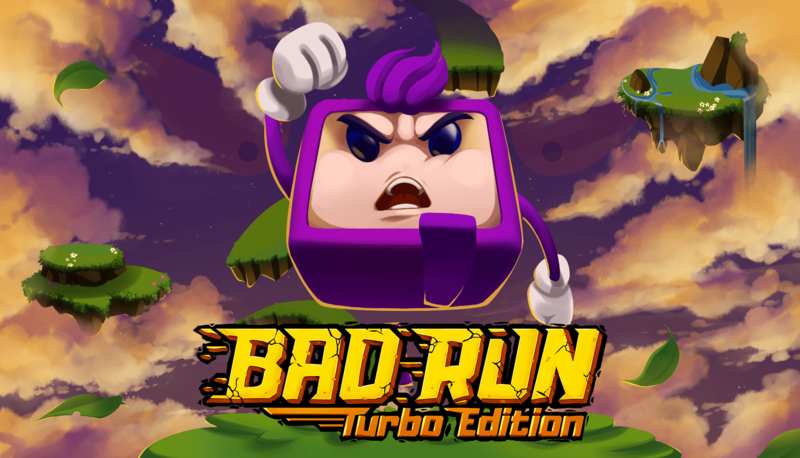 Bad Run – Turbo Edition is an action packed auto-runner metroidvania platformer and a part of the Bad Pad franchise. The game features some of Bad Pad’s game mechanics with additional new and unique features and a more casual gameplay. Join Square’s epic adventure and fight the infamous Evil Pen. Run, jump, dive, fly and shot your way through, but most importantly take Evil Pen down! It’s up to you, are you ready? RUN! To try out Bad Run Turbo Edition click the link below. – Campaign mode, 4 episodes with 40 levels, missions and battles. – Castle levels, bringing more of Bad Pad into Bad Run with 3 castles to explore metroidvania style, adding more than 3 hours of gameplay. – Endless mode, master your skills, collect coins and upgrade your character, play until you lose. – Use your coins to upgrade your character, upgrades are required to get through the levels. – Daily rewards and lots of achievements with coin rewards. – Bad Pad comics, finish an episode to reveal more slides of the comics. – Original guitar driven music by Avishay Mizrav. – Playable on any device with a browser, internet access and decent WebGL support. – Support all screen sizes and orientations. – Touch controls for mobile/tablets and keyboard+mouse/gamepad controls for PC. Devblog Part #46 – The self Jamming level PT2. Devblog Part #45 – The self Jamming level. Expo-Wave | The Future Of Gaming. Devblog Part #40 – Bad Run – a part of the Bad Pad saga – and news about Bad Pad. Devblog Part #38 – The party is just starting! Devblog Part #37 – Ready, set, ACTION! Devblog Part #36 – 3 floors done. Devblog Part #34 – Moving toward the first Steam Early Access release and… SWIPEY! Devblog Part #33 – Bad Pad got greenlit! Devblog Part #32 – Levels, levels, levels and some other stuff.